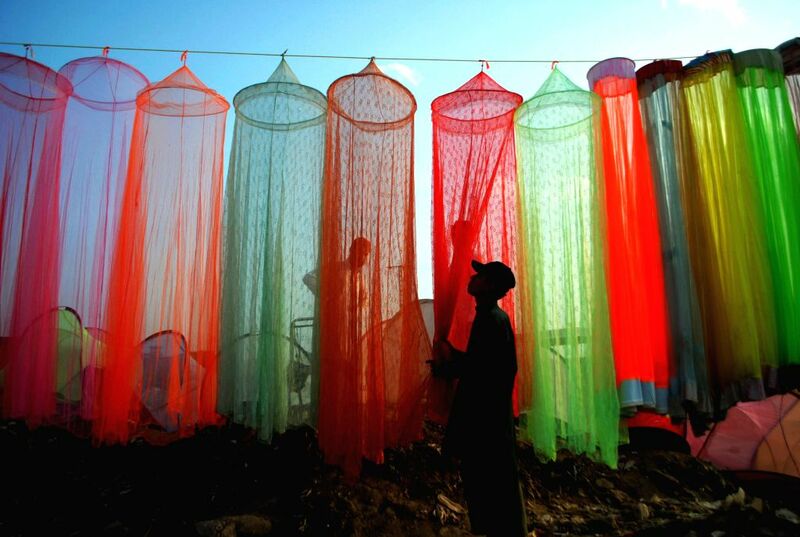 PESHAWAR, April 19, 2015 - A Pakistani vendor organizes mosquito nets to attract customers outside his shop, in northwest Pakistan's Peshawar on April 19, 2015. The medical experts have advised Pakistani citizens to take special preventive measures to protect them from carrying dengue virus. In 2011 over 200 people lost their lives due to dengue virus in Pakistan.